"Well worth the time and cost to build"
Woodworking has been a hobby of mine for decades. 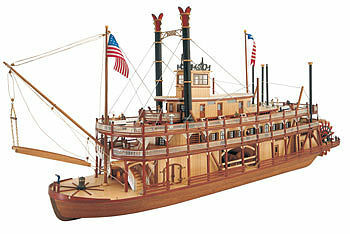 As I&apos;ve gotten older, now 83, building wood model boats fits the bill for an old man. The Mississippi Queen paddle wheeler was a challenge......but worth the time required, about three months. I found this Latina model to be well designed, accurate, with good instructions......and fun.